Environmental accidents can occur in moments but often take years to resolve. An article published in this weekend’s Oakland Tribune, by a reporter for the Contra Costa Times, details the dispute that started with a sewage malfunction in 2008 and continues with a lawsuit filed this month in Contra Costa Superior Court. 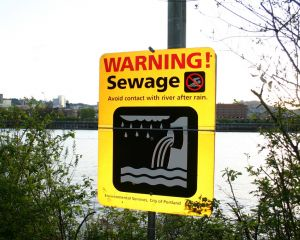 The San Francisco sewage accident attorney at The Brod Law Firm is monitoring developments so that our team can better serve victims of toxic accidents in San Francisco and throughout Northern California. On July 18, 2008, a malfunction led 94,000 gallons of raw sewage being released into a lake located in the Lakeshore subdivision in the town of Discovery Bay. Amazingly, the entire incident started with a wayward bird. The bird flew into the power grid, landing on a power line and sparking a power failure. Pumps failed to turn back on after the power interruption, forcing sewage to back up into a storm drain that then fed into the community lake. Concerns about the environmental contamination were worsened because fountains in the lake were not shut off. Instead, the fountains remained on for a week after the sewage spill and potentially adding to the spread of contamination and raising additional concerns about illness. State fines and penalties also followed the incident. Shortly after the incident, an escrow account was opened including funds from both the town and SouthWest Water Co., the town’s wastewater collections operator. However, state staffing cuts and other matters resulted in the issue dragging on for years. Southwest’s escrow company has now refused to open the account to make any payments. Just last month, Discovery Bay paid $241,000 in fines to the state’s regional water quality control board, based on the spill detailed above and three other spills that occurred in 2008. The dispute is now heading to court. On June 6, Discovery Bay filed suit in Contra Costa Superior Court seeking to have SouthWest Water Co. held responsible for the state-assessed penalties. The complaint alleges breach of contract and seeks to recover around a quarter million dollars. Discovery Bay is also seeking to recoup legal fees incurred in the dispute. A spokesperson for SouthWest has said the lawsuit lacks any merit. Although the contract between the town and SouthWest had originally been set to expire in 2012, the company requested it be rescinded and the relationship ended in 2008. After a trial period, Veolia Water became the town’s new water and wastewater provider with a five-year contract beginning in early 2010. This case is a reminder of the legal complexities that can follow an environmental disaster. In the wake of a sewage spill or other incident, it is vital that all those involved seek skilled legal counsel. As a law firm for victims of environmental disasters in San Francisco and throughout Northern California, The Brod Law Firm is available to assist individuals, companies, and municipalities in the wake of sewage spills, chemical leaks, or other toxic spills.